Removing the cape was easy, but letting go…well that is a whole other story. I recently read a post from one of my new favorite bloggers, Lori Lynn Smith. 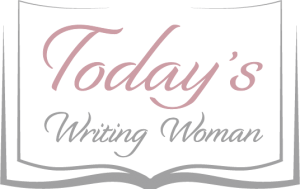 Her website, Live Your Passions, has a wealth of wonderful musings. Lori Lynn’s post, Find Your Inner Peace in Chaos of this World, talks about finding your inner peace in the midst of the chaos of the day. It got me thinking about my own personal chaos, and what I did to navigate my way down the road to my own inner peace. For years I have struggled with “letting go“. It didn’t matter what it was, it just seemed like I always agonized over everything. Do they like me? Did I do a good job? What if they hate me? Will I be included in (fill in the blank here)? Sometimes it involved other things, for example where did I put (fill in the blank here)? I would search endlessly for whatever it was I was looking for. I was really lost without knowing it. Looking back, I think the thing I was really searching for was me. It wasn’t until I took off the cape, that I finally realized that I could let go. It came though at a great cost to myself. The road that I was on had so many turns, curves and potholes, I wasn’t sure I could go any further. The weight I had been carrying was getting heavier and I felt I could barely breathe anymore. I wasn’t sleeping and my diet and exercise program…well, let’s just say that didn’t exist anymore. I was so busy taking care of everyone else, that I forgot the most important person to take care of…me. With the cape gone, I knew that there was only one more thing left to do, and that was take the final leap. It was going to be hard and painful, but I was already suffering, so I figured why not add a bit more. “Take the leap!”, the Three Fates shouted to me. So I did. I knew it wasn’t going to be pretty, but what the heck! When I finally landed, I hit the ground hard and felt the air rush out of my lungs. I knew I was alive, but I was battered and bruised, and bared a severe case of road rash. It was not pretty, but I was alive, and despite everything, I was breathing. And oh the pain…the pain…the pain. How could I possibly be alive? I sent out a lifeline to everyone, family and friend, who would listen. My husband, my parents, my true friends…they all listened and they all helped. At that moment, the heavy burden that I had been carrying all these years seemed so far away. As I tried to catch my breath, all I could do was just lay there. I stayed that way, for a long time. The Fates knew that this was the beginning of a new era. “Take care of you,” they said to me. So that’s what I did. I was somewhat afraid that I had forgotten how to take care of myself. Would I be able to do it? The only way to find out was to try. It has taken six months, but I finally feel like I am on the road again. It hasn’t been easy. The way to true inner peace is never I have found. There will always be setbacks, but it’s a bit like falling off a bike. You just get up and get right back on that bike and keep going. The good news is that I don’t feel so weighed down anymore and my vision is clearer so that I can stay on the right path. I think that the road will always have the s-curves and potholes, but I am stronger now to navigate them. By “letting go”, I was finally able to see that what I had been doing was causing me more harm than good. “Letting go” gave me the freedom to finally see where I really wanted to go. “Letting go” gave me back my life. “Letting go” allowed me to find the one thing that had been lost for a very long time…me.